Do you need a new keyboard, speaker, or tablet? In addition to amazing products, find everything in smart home technology at Logitech. The brand has a storied history of selling items for a better experience with digital life. Since 1981, this tech retailer has long since moved on from selling computer mice. They now own a significant portion of the industry in the personal computer and accessories market. In the beginning, Logitech took computer mice seriously. Now, the products sold on the company’s website meet users’ needs in new ways. Today, Logitech is an expert in so many areas of the technology market. This helps customers find the perfect way to enjoy everything digital. From gaming to business, you can find it all at Logitech. Learn more about what you can find on their site or just grab one of the coupons listed on this page and save today. Getting online and connected with the world around you is easy. That’s exactly what the company intended. Logitech items are the “last inch” between customers and the digital world. All that you to do online is intended to be mastered with ease. Shoppers can access the retailer’s products from anywhere in the world. What truly makes this a unique retailer is its dedication to making connecting with others easy. With constantly updated software and hardware, you can simplify your digital world. Who would be surprised that the brand maintains a commanding presence on social media? That’s why it’s easy for fans of this retailer to connect online with the brand they love. On Facebook, fans can take part in frequent contests. You can also learn about the retailer’s different devices. Plus, reply to posts asking for customers’ opinions and feedback about how they use their Logitech items. It’s an interactive profile encouraging fans to share what they use different products for. On Twitter, find contests and material like that on Facebook. Instagram features unique images of products in different seasonal settings. Plus, following the brand on social media will notify you of the latest sales and special offers. Getting in touch with the customer service department is simple and straightforward. Call their team at 1-646-454-3200 for general support. Call the business support line at 1-877-897-9879. FAQ inquiries, warranty information, and general questions can be found online. Email and forum support can be found on the contact page. It’s important to know that representatives are only available on business days between the hours of 6AM and 6PM. 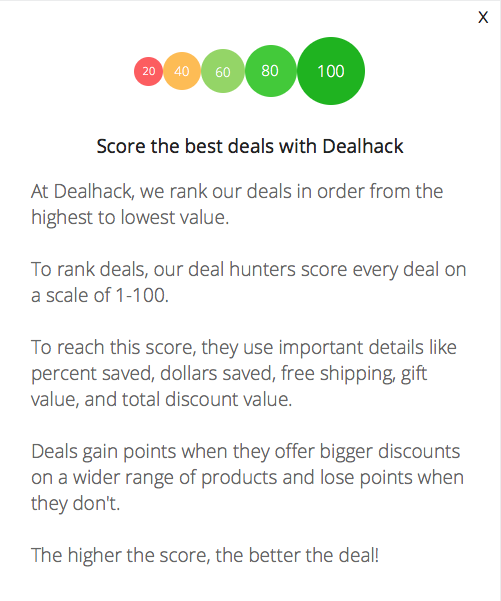 Our team here at Dealhack has rounded up the best coupons because we want to help you save. Most of the time, you can find a free shipping offer or discount on select items. You can also find a link to the special offers page in our shopping tips section listed above. Shop online on the Logitech website and enjoy your savings. If you’re looking for the latest Logitech sales, make sure to visit the dedicated special offers page right on the retail website. There, you’ll find everything that’s marked down in the slightest – and, as Logitech doesn’t offer big seasonal sales, this where any special deals hide year-round. Because Logitech products rarely go on sale, it can be difficult to find a true discount or traditional sale on the company website. The best deals can actually be found elsewhere, on different retailers’ websites, if you need to save more than 25 percent off. A wonderful way to find Logitech items at incredibly low prices is to regularly check out Woot – here, Logitech items are often drastically reduced and readily available via flash sales daily and weekly. What is Today's Best Logitech Coupon? Currently, the best Logitech coupon is 'Free Shipping on Orders over $29'. There is no code required to claim this offer. When you place an order through the Logitech website, your order ships as soon as its contents are available and in the company’s warehouse. If you place an order by 3PM (EST) on a business day, your items will ship out the very next business day. Deliveries, as well as shipments, only occur on business days. If your order is particularly pricey, it may require a signature when it’s brought to your door for delivery. There are different methods of shipping available, but these are dependent on your zip code and physical address. Every single Logitech item is backed by a warranty and a 30-day money back guarantee. If you aren’t happy with the items you have purchased, you can send them back directly to Logitech for a full refund that includes both the original purchase price and any original shipping fees added on top of that. The only items that can’t be returned or exchanged are those that have been personally and uniquely monogrammed. To check out what, exactly, the warranty specifications are for your Logitech products, you can visit the support page online and find your item.